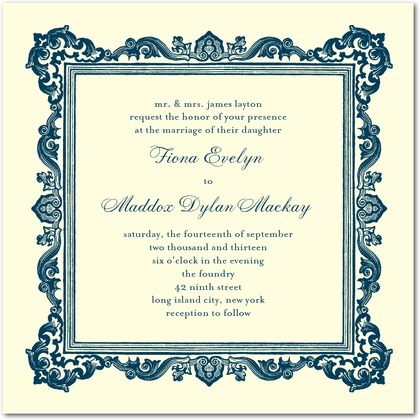 Carved Frame letterpress wedding invitations from Wedding Paper Divas are a lovely choice for your occasion. An ornate frame perfectly compliments your wedding details in this sublime wedding invitation design. Available in the following colors : indigo (shown), brown, burgundy, and charcoal.